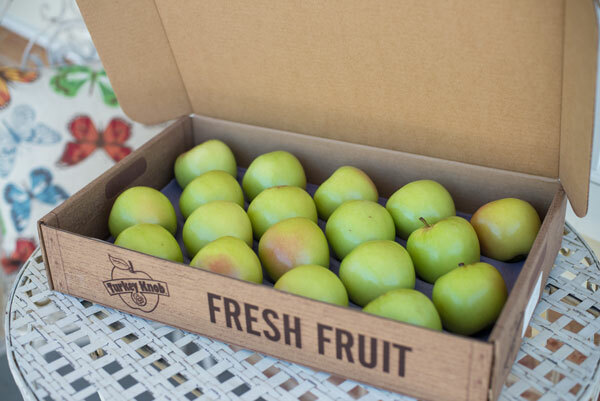 We know Virginia Gold is the best of the golden apples, a real Virginia treasure. 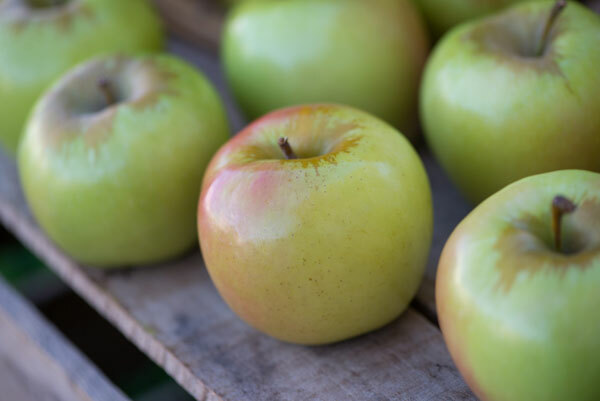 It was developed at Virginia Tech in the 1940's by crossing a Virginia-grown Golden Delicious and an Albemarle Pippin, a late, very hard apple which was Thomas Jefferson's favorite. Virginia Gold has a gleaming rose blush on a green skin. 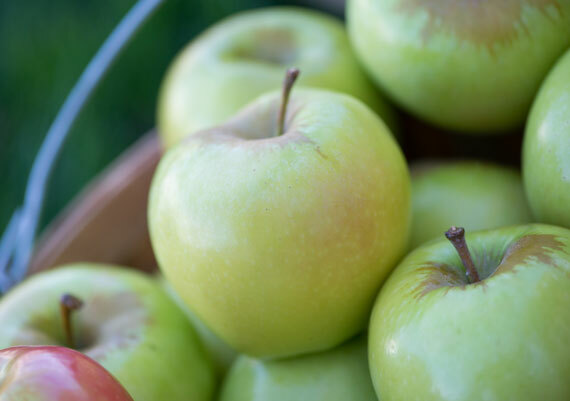 It is a late apple, picked in mid October. Because of its heritage, it is very firm and crisp and keeps a long time in cool temperatures. Virginia Gold has a sweet taste; however, it is not as sweet as the Fuji.